Lakeside Hospice – United Way of Central Alabama, Inc. The goal of Lakeside Hospice is threefold: (1) to provide medical care to enable the patient to remain alert, comfortable and capable of participating in life as fully as possible for as long as possible, (2) to provide the patient and family as much psychological, emotional, social and spiritual support as they may desire or need, and (3) to maintain community involvement and awareness. It is also the goal of Lakeside Hospice to maintain the highest quality of care to all patients. 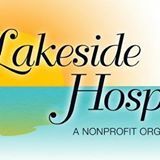 Lakeside Hospice is a faith-based, community-supported program committed to caring for the terminally ill regardless of their ability to pay. Lakeside Hospice provides many opportunities for you to help us achieve our goals of providing quality care to the terminally ill and their families. Our focus is caring for people not for profit. We help patients and their families cherish their time together at end of life.